Hosted by @einebiene on 2017-03-22 is flagged as Explicit and is released under a CC-BY-SA license. This was great! thank you for uploading. Hi @EineBiene: Do you have a template file for that Anarchist Carrot image? An .svg or an .xcf or an .odg, or even a .pdf? Thanks for the new episode. It was well done and easy to follow. 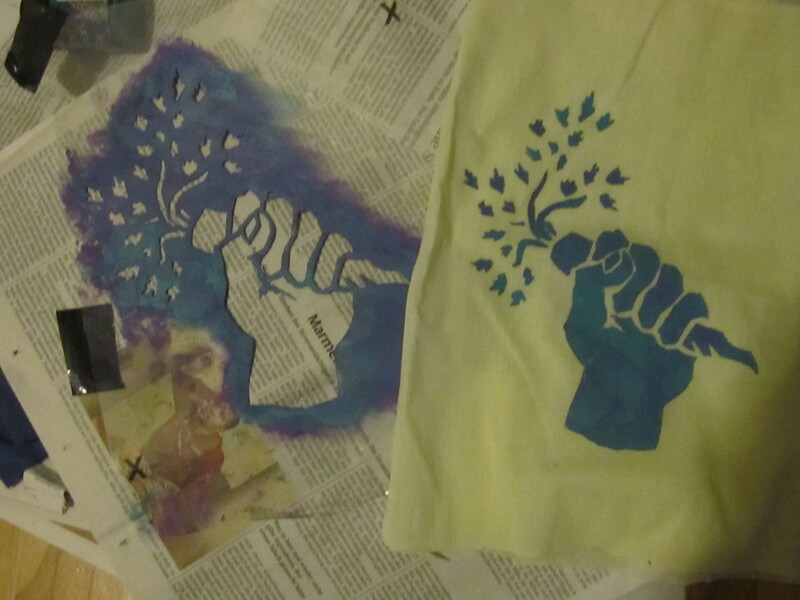 The process you described reminded me of a silk screening class I took long ago. I think I will try this out some time soon. Keep the episodes coming! Thanx for the link, @EineBiene! There are a lot of good designs (motifs) on that page! I am doing this with the kids tonight. My wife has a Cricut but its way more fun using knifes!